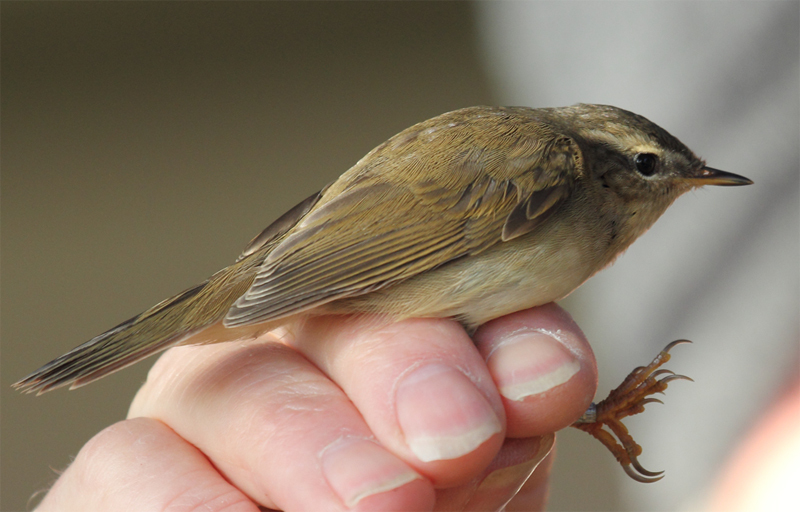 The highlight today was a very unexpected Dusky Warbler trapped and ringed at midday. On the sea 30 Common and 3 Velvet Scoters were of note together with 3 Red-breasted Mergansers, Red-throated and Great Northern Divers, 8 Great Crested Grebes, a Great Skua and a Razorbill. A Stonechat was also of note.